A recipe like this one for roasted vegetables is always an easy way to make the most of seasonal produce. Vegetables that are fresh, local, and sourced straight from the farm offer more nutrition than most side dishes, plus they tend to pack in more crunch, color, and flavor from the sheer variety. 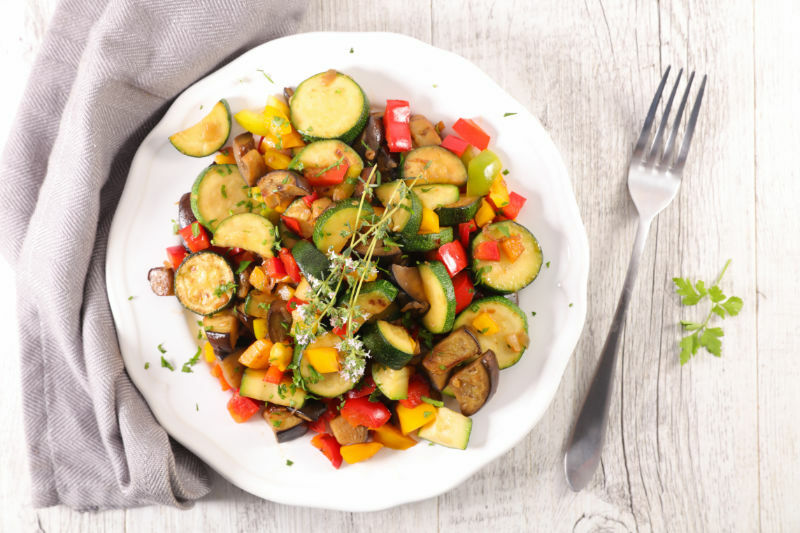 This summer recipe will help you prepare delicious veggies like yellow squash and zucchini with little effort and in a minimal amount of time. You can easily swap in other vegetables like fresh corn, eggplant, green beans, okra, sugar snap peas, or any other vegetables you want. We love pairing these veggies with baked salmon or grilled chicken for a wholesome, clean meal. Plus, it’s really easy to pack these veggies up if you’re meal prepping for your week. In a large bowl, toss the vegetables with olive oil, sea salt, and some fresh herbs. Place vegetables on a large baking sheet and roast 25-30 minutes.